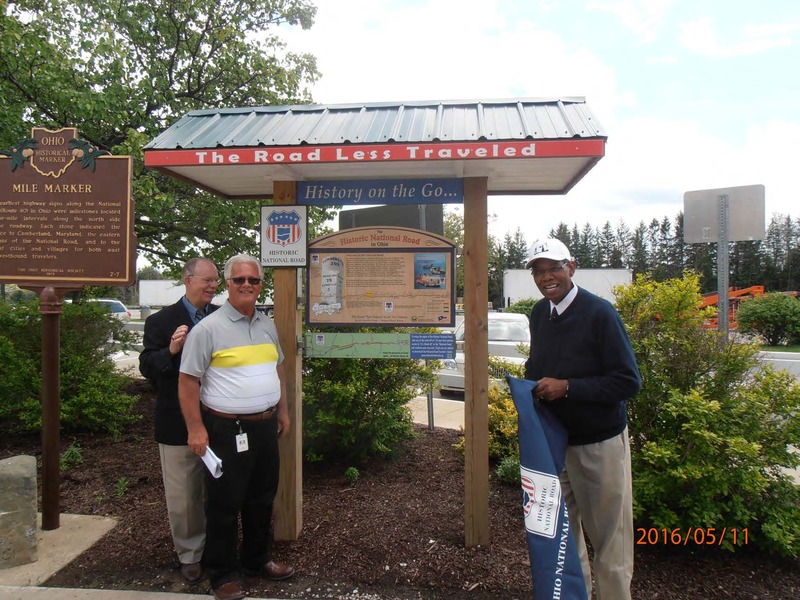 These two gateway signs were dedicated on May 11, 2016. 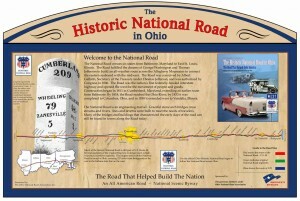 Both signs are located in the St. Clairsville area. 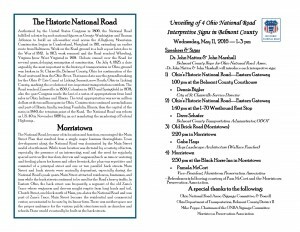 One is located downtown at the Belmont County Courthouse and the other is located at the I-70 Westbound Rest Area west of St. Clairsville. 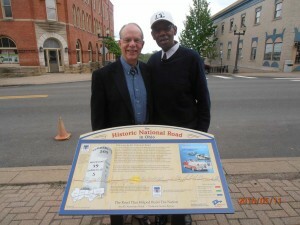 Belmont County representatives of the Ohio National Road Association, John Marshall and Dr. John Mattox, spearheaded the installations and events. 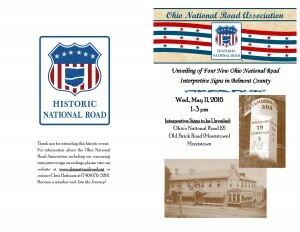 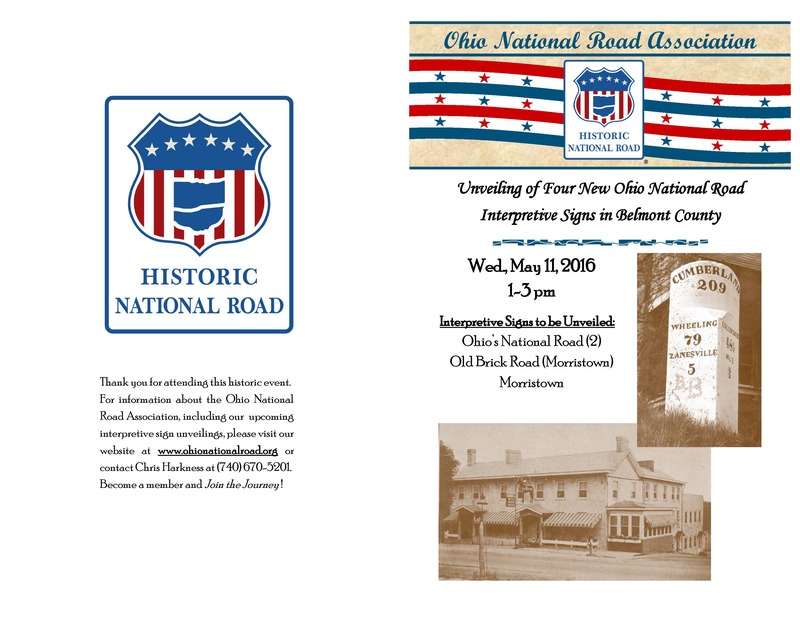 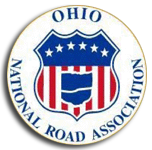 Other members of the Ohio National Road Association pictured below are Doug Smith and Elizabeth Reeb. 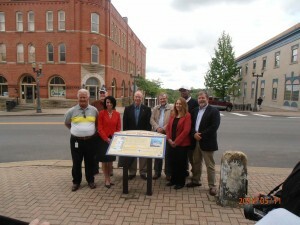 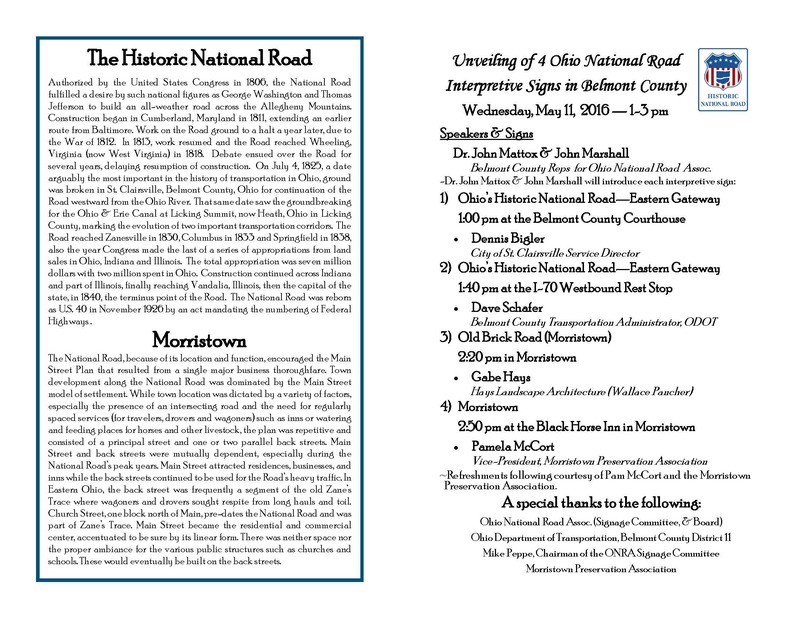 In addition, Dennis Bigler and the Belmont County Commissioners are also shown below with the sign.